I. ABOUT MR KABILA’S GENOCIDATIVE DECLARATIONS AGAINST YIRA (NANDE). On April 17, 2018, President Joseph Kabila convened a meeting with all the National Deputies of the Presidential Majority at the African Union Palace in Kinshasa. All that emerges from this base shows that the initiative of the Head of State on this subject was motivated only by the concern to use these elected representatives of the people to stop by all means the storm launched by the motion of defiance filed in the National Assembly against Mr. Atama Crispin, the Minister of National Defense. For those who do not know it, Minister Atama Crispin is one of the main columns that most effectively and faithfully support the regime in power and its objectives. And for this, the head of state can not tolerate his sudden collapse. But how was it necessary to maneuver to shoot the Minister concerned from the sinking? Because the grievances against him were so true and objective that he could honestly never escape the bar of the National Assembly. Moreover, since the popularization of this motion, the attention of the whole world was focused on the People’s Palace, whose honest debate (if that were possible) was to expose the day the bottom of the most bitter secrets of management of the tragedy of Beni. We insist that the motion submitted by the Deputy Muhindo Vahumawa was based on facts and obvious facts, before which no one could oppose an honest argument, not even a logically constructed lie. It is therefore normal to note that in the face of such desolation and embarrassment, an authority that has no self-control reacts only by anger and a detonation of the kind of lightning. The address of the Congolese head of state to the deputies of his political family that day was only anger, intimidation, outrage against a community (yet subject to his power as a father of the Nation) and especially betrayal of a rancor difficult to justify to the detriment of the targeted community, to hold hateful and extremely scandalous declarations, at the end of the declarations openly exciting the whole Nation to the genocide against a community which it would have wished to be decimated in secret for reasons that are unique to him. At the meeting held by President Joseph Kabila Kabange with the deputies of the Presidential Majority at the African Union, members of the Nande community were shocked. They were really tackled by the Raïs who immediately recalled the fire of his house built on the ground of the Yira community of Beni-Lubero. The elected representatives of the majority nationals of the far north of the province of North Kivu carried the heavy burden of this whole community. In a threatening tone, the president said the Nande community is the worst of all in the Democratic Republic of Congo. He accused her of being very tribal, in fact, according to him, it prevents people from other tribes to pass through their territories of Lubero and Beni or cities under his influence. In this increasingly threatening tone, he accused the Yira people of being the initiators of several May-May movements. He closed his inflammatory speech promising retaliatory measures against the Nande community in the next few days, starting from political dissociation with its members. – Regarding the burning of the private residence of the head of state in Musienene, the Yira-Nande community reminds the public that after the investigations, the spokesman of the Congolese government, Mr. Lambert Mende, Minister of Information had sent a message that the fire had been triggered by an electrical short circuit. At no time had he spoken of a wicked destruction. Today, the fact that this fire has become a strong argument to fuel the hatred and resentment of the head of state against the community, raises a lot of speculation. And many people wonder if this fire was not a scenario mounted just to find an objective reason to discharge on the Nande of Beni and Lubero. 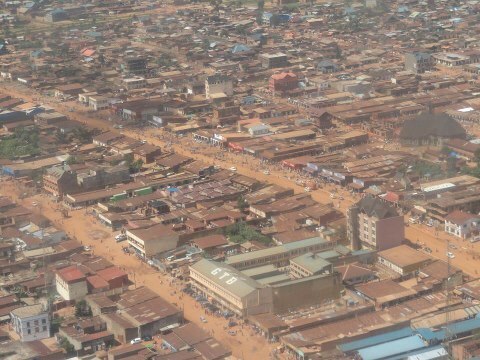 – As for the slander of tribalism in charge of the community Yira (Nande) of Beni and Lubero, just visit the cities of Beni and Butembo to see how cosmopolitan they are. By stipulating that the natives would not allow visitors to undertake business there, it should be remembered that in the capitalist world prosperity depends above all on the ability to challenge the competition. No one is unaware of the capacity of the “heavyweights” who presumably hold a command share of the country’s commercial activities from the Beni-Lubero area. It is regrettable to see the instrumentalisation of those who fail in this field of competition by the supreme magistracy, to open the door of hatred against a people who, by their zeal of work, are among the most important pillars of democracy. prosperity of the whole country. However, it is easy to understand that the allegation of tribalism against Yira-Nande comes rather from the fact that this community alerted at the right moment the opinions on the plan of invasion of the great North-Kivu and Ituri by genocidaires who were to feed the massacres of civilians and insecurity as we see today in Beni and Djugu (in Ituri). The subject of tribalism is a language of intimidation that aims to prevent the natives of Beni-Lubero to demand the identification of immigrants who take part in the massacres in the region of Beni and Ituri. The petition launched for the partition of North Kivu is essentially the cap of a well-identified local community. But from the outset, the Hutu community, exploited in this affair, allows itself to reveal the secret of a new strategy of the regime in power in its tireless plots not only against the North Kivu province, but also against the entire Congolese nation. The approach consists in starting from the division of this province to arrive to declare independent a portion of the Congolese territory, and in the wake to excite the rest of the country to fight to tear the same autonomy, each community or each entity according to its geographical position. The desire to divide North Kivu is denounced and disapproved by all non-Rwandan communities in North Kivu. The great irony is that even the majority of Hutu at the base is not recognized in this ambition that unnecessarily opposes their social environment in DR Congo. Unfortunately, these Hutu Loyalists have been persecuted by a handful of separatists with Kabila’s support for repression, logistics and finance. These are the standard bearers of the secession of North Kivu at the national level. They are the main pawns used by the power in place for this purpose. At the provincial level, they have already implemented a poisonous intoxication network. We find him engaged in a media battle and in evil planning works running through secret meetings in Goma. One of the big meetings of this kind was held in Goma on Sunday, May 6 from 4 pm under the auspices of the President of the North Kivu Provincial Assembly, whose most important resolution is to wrest the division of the province of North Kivu before President Kabila lost power. This meeting reassured the tenors of the secession of Kinshasa and Kigali support for this Machiavellian plan. The pretext of justifying the desire to divide North Kivu to favor the return of a lasting peace in the region is literally contradicted by the preparations for the war against the natives by the supporters of this division. They are preparing this war in all parts of the province with the support of Kabila and his allies. This war is already active in Beni and south of Lubero. It is preparing to burst in Masisi, Rutshuru and Walikale, because the means necessary for its launch (troops, armaments, money etc.) are in full deployment. This is the case of this batch of weapons that was found in Goma in the week of April 30 to May 6, 2018 aboard a FUSO truck leaving for Masisi. This is also the case for Rwandan illegal immigrants who continue to flock towards Masisi, Rutshuru, but especially from the south of Lubero, Beni and Ituri. 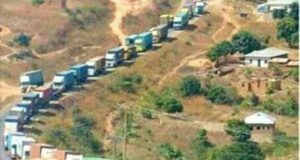 Even during the week of 21 to 27 May 2018, many groups continued to be intercepted in Butembo, Beni, south of Lubero, escorted by Congolese soldiers (FARDC) and the Congolese National Police (PNC) in order to impose by force to the detriment of the natives. This statement by Otto Bahizi Rusingizandekwe, speaking on behalf of the separatists Hutu reveals all the malicious funds of the division of the province of North Kivu which he wrote to the honorable people of the great North Kivu in these terms: “To conclude dear friends, know that your vociferations and those of all your fellow-creatures will not change anything, on the contrary, you will end up unnecessarily exposing your brothers living on our lands “. Such assurance is only possible when there is a guarantee of the highest power in the country, that is to say the presidency, or an extraordinary foreign force transcending the ordinary capacity of the indigenous people to whom it belongs. we attack. And now, like all communities, civil society, religious denominations and even the majority of Congolese Hutu themselves do not want any division of the provision of North Kivu, Kabila and Rwandan allies have decided to steer the campaign for the signature of the petition initiated for this purpose in Rwanda, using Rwandan Hutu in default of their own history. 1. The massacres and the real mission of the FARDC in Beni. – The FARDC are not in Beni to prevent but to facilitate the extermination of a people in favor of criminals imported from Rwanda by Kabila; we have enough evidence that is very overwhelming. – The alleged ADF that served as a cover for the murderers of Beni following a fierce media campaign of the Congolese government were finally identified as FARDC that the current regime has transformed into Jihadists, to support the actions of killers recruited among immigrants Hutu forcibly set up horseback on the north of Beni territory and the south of Ituri province. – On all fronts of Beni, and even at the time of ambushes on civilians on the main roads of the area, the attackers were always recognized as FARDC military outfits, speaking Lingala, Swahili and Kinyarwanda. 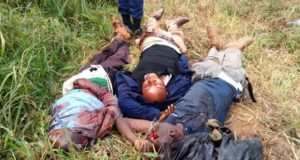 Most of the massacres of civilians have often been carried out around the positions of the FARDC soldiers, without any dissuasive intervention of the latter in favor of the population in danger. – The military justice that sat in Beni to try the perpetrators in the ADF file and to establish the truth about this phenomenon had to turn into theater: prosecutions were launched against innocents and independent witnesses, while everything was set the work to whitewash the real criminals and perpetrators of the massacres. General Mundos, the mastermind of the massacres, has been cleared and restored in his mission to complete the asphyxiation and eviction of natives. – and push them all into exile. The same scenario played in Beni was mounted in Kasai using the name of Kamwina Nsapu. The FARDC who support the Kasai massacres have been dispatched from Beni. Also, many were astonished at the similarity of the mode of operation of the attackers of Kasaï with what is noted with the assailants of Béni. But it is especially with the file the assassination of the two experts of the United Nations in Kasaï that the world opinion will discover that it is finally the Congolese government which is in work. Kinshasa will confirm this suspicion by its fierce resistance against any attempt at international and independent investigation into the deaths of these two investigators. Exploiting the ashes of the old conflict between the Lendu and the Hema, conflict buried for fifteen years, the president Joseph Kabila lit a new fire on Ituri since the beginning of February 2018. This option was adopted after having failed to conclude a marriage between Hutu Rwandan immigrants from Tchabi and Boga with the local FRPI militia. Once again, the indigenous Hema and Lendu quickly refuted the lie of a war or confict between their communities and openly denounced the machination of power in place. In addition, the events were quick to reveal evidence of the participation of Hutu Rwandan immigrants as main actors in the Djugu massacres, after the Congolese government, through the governor of Ituri, managed to recruit some indigenous puppets to cover the presence of these genocidaires on the ground. Again, the Congolese official is going to maneuver heavily to prevent Rwandan Hutu captured on the scene from being massacred by the public, fearing that the latter will betray the involvement of the governor himself and his superiors in this crime. In the meantime, President Kabila, who has his work cut out in Kivu, plans to move to Bunia, precisely to kick off the Balkanization of the country from this corner. I just want to say that there will be no elections in December 2018. It’s impossible for Kabila to organize the elections he will lose! Therefore, let us prepare ourselves to face the troubles that it envisages to divert the attention of the mass of said polls. There is reason to be sure that Kabila is not eternal; moreover, he has already failed in all his Machiavellian plans. We have united with other tribes of R.D.Congo to defeat this Balkanization plan led by Joseph Kabila. Friends in the subregion and around the world have also helped us to develop an appropriate strategy for preserving our survival as a community, and national unity for the sake of regional stability and Africa. in general. Joseph Kabila is a finished man. He has shrunk his future by depriving himself of any constructive vision. He has the illusion of continuing to impose himself in power by sadistic means: to weaken or even crush the people on all levels, first by killing in visible and direct ways (by massacres and other forms of organized insecurities), then indirectly killing strategies aimed at asphyxiating economic and social life as well as an unparalleled predation system. We have assigned ourselves the duty of working hard and not giving ourselves a break so that justice may be done, and the blood shed innocently (of our children, our mothers, our dads, our brothers and our sisters ) does not remain unpunished forever. It is time to inform both national and international opinion that this commitment has led us to introduce the issue of massacres in the East of the country to the International Criminal Court in The Hague. With the monitoring of this file underway, experts are already working to study the possibility of a Special Tribunal for Kivu and Ituri, which would soon bring all the genocidaires of our country and their accomplices. to rigorously report on their crimes. Despite the death threats we face every day, we will not give up. All together, we have to take into account the same courage. We are moving slowly but surely towards a new era where the smile finally reappears on the face of our people. That Joseph Kabila fights like a wounded buffalo, it will not change his destiny that the multiple crimes in his charge assign to the International Criminal Court, without ignoring that tomorrow or later, the DR Congo restored in its sovereignty will not fail no more to require him also rigorously the account by a fair and independent justice. Let us remain united and dynamic to ensure a happy future for our beautiful country, the Democratic Republic of Congo.